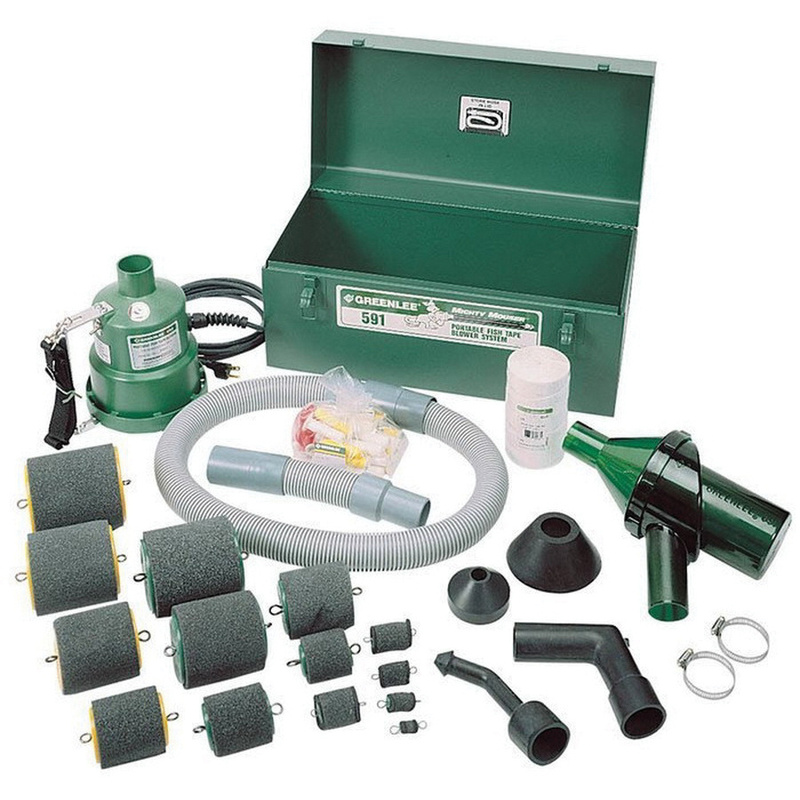 Greenlee Vertical discharge portable blower power fishing system includes mighty mouser blow gun, 150-ft long fish line, piston set and adapter cone. Powerfull blow line or measuring tape supports up to 6-Inch conduits. This system comes with shoulder strap to carry easily and supports floor mounting.